The World Baseball Classic is underway, and while the quadrennial exhibition tournament of pre-authorized or discarded players has featured a few upsets (Italy beats Mexico! Holland beats Cuba!) there are, fortunately, a few things you can rely upon. 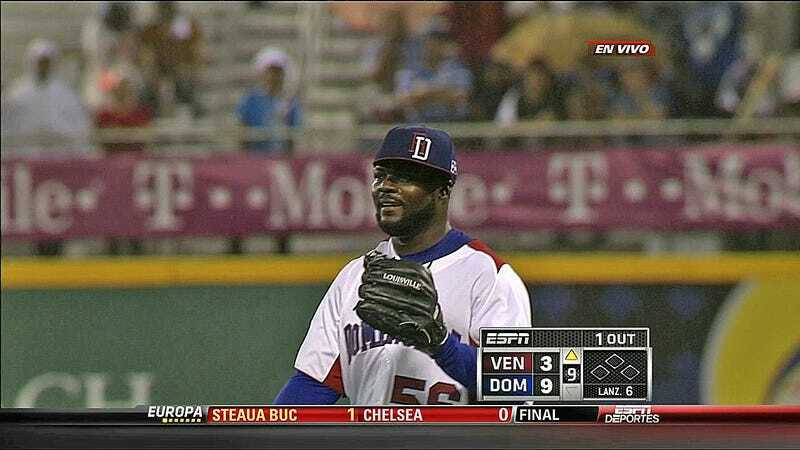 One of them is that Rays and Dominican Republic reliever Fernando Rodney's cap will be askew. It's looking especially jaunty right now, and indeed during his brief appearance last night appeared to be rotating itself. Rodney was one of the best pitchers in the majors last year, so fans on the Suncoast have learned to deal with the arrow-slinging fireman's eccentricities. The Dominican Republic shut down a grieving Venezuela team 9-3.